The server-side data can be obtained by performing a query against a SQL database, or by executing a Xbasic function (which can, in turn, call web services - REST or SOAP) to get the data that should be returned to the client. 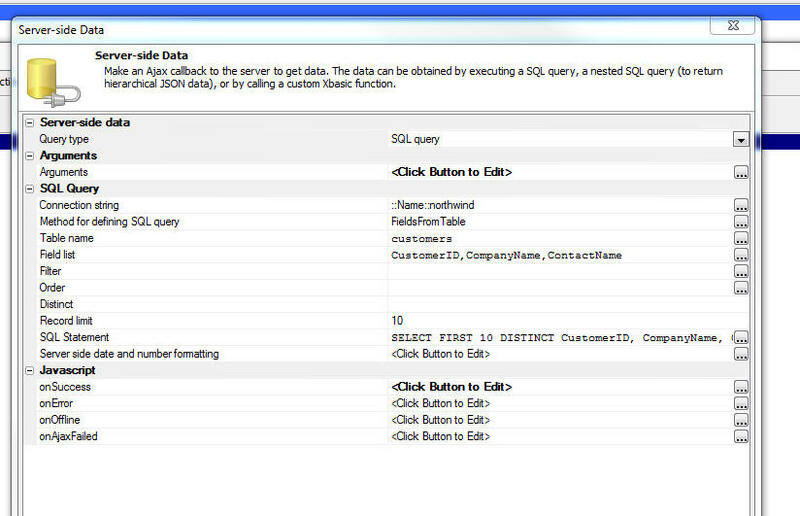 A single query against a SQL Database. A query against a SQL database that will return a complex JSON document with nested arrays. For example an array of customers, for each customer, a nested array of orders, for each order, a nested array of order details. An Xbasic function that will execute when the action is run. The Xbasic function will return an array of data (in JSON format). The JSON might come from a REST or SOAP API called by the Xbasic function.